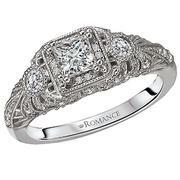 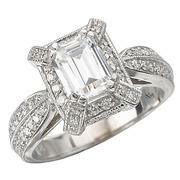 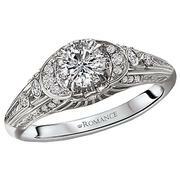 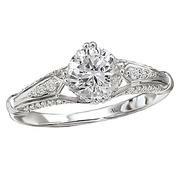 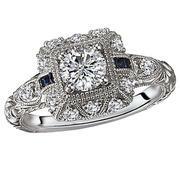 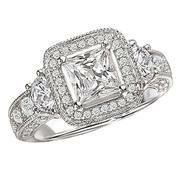 Vintage Style Diamond Ring with Round Accent Stones and Filigree Detail in 18kt White Gold. (D1 1/2 carat total weight) This item is a SEMI-MOUNT and it comes with NO CENTER STONE as shown but it will accommodate a 5.5-6mm princess cut center stone. 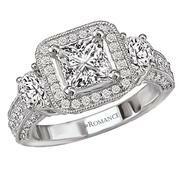 Other comments: If you're interested in 10k or 18k gold, please call for pricing.